Hello Monday! We have an awesome #beautybabble today with Karri @Karrialice. Follow her account and blog for some colorful product pics and reviews. K: It’s so hard to narrow down favorites because I adore so many products! However, there are definitely some products that stand out among the rest. Choosing my favorite face products is probably the most difficult part of this question! If I were to narrow it down, I’d probably talk about my favorite moisturizer, which is the Glow Recipe Watermelon Glow Pink Juice Moisturizer. It has a lightweight, thin gel formula that sinks into my skin quickly but leaves it feeling so nourished. On my combo-oily skin, I find that this is an effective moisturizer year-round. It also smells like a watermelon Jolly Rancher which is a huge plus for me! I struggle so much with my hair, but one product that I consistently use is dry shampoo. 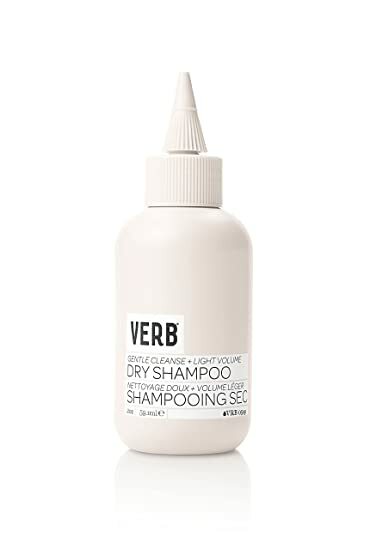 I love Verb’s – it absorbs all of the oils on my scalp and at my roots so that I can rock the second day (or, let’s be real, the third day) hair. It also adds a lot of volume to my hair which is great since I have ridiculously fine, thin hair. They sell a travel size that doesn’t come in an aerosol container and I love taking that in my purse or on trips where I’m packing all of my beauty products into a carry-on bag (the travel size bottle also lasts forever. I’ve had mine for well over a year at this point and it’s still going strong). For the body, I feel like you can’t go wrong with Bath and Body Works Ultra Shea Body Creams. I’ve been using these for years, and I love how nourishing they are and how easily they absorb into my skin without leaving a sticky or greasy residue. They also come in a huge variety of scents – I always stock up during the holidays on their peppermint scent, because it’s so cooling and refreshing. BB: Dry shampoo is a lifesaver! When you get the chance to be alone, what is your favorite thing to do for self-care? K: My favorite self-care activity is honestly just getting outdoors whenever I get the chance! I work in an office in the basement of my building so as you can imagine there’s not a ton of natural sunlight. I love to take a midday break and walk around outside. I find that it’s such a great mood booster because that change in scenery also often helps me get out of any mental funk I might be in over the course of the day. Getting outdoors also helps me get some perspective and keeps me from feeling bogged down by the minor annoyances of day-to-day life. It’s honestly super meditative! BB: Sooo true, getting fresh air changes everything! Here’s the third and trickiest question: If you were a food or drink what would you be? K: This is so difficult! I think if I was a food I’d want to be a pineapple. It looks intimidating on the outside but is sweet inside (aka me haha). It’s also my favorite fruit to eat. And it reminds me of a trip I took to Hawaii to visit my sister when she lived there – one of the things we did was visit the Dole Plantation. It’s a really fond memory for me! I love your answers so much Karri! Thank you for answering the questions I look forward to seeing more from you.